View cart “Stabi SD 9 & 12 inch” has been added to your cart. This is 12 inch version of Stogi Ref 313 tonearm with fully adjustable VTA tower mounting on standard 9 inch position. 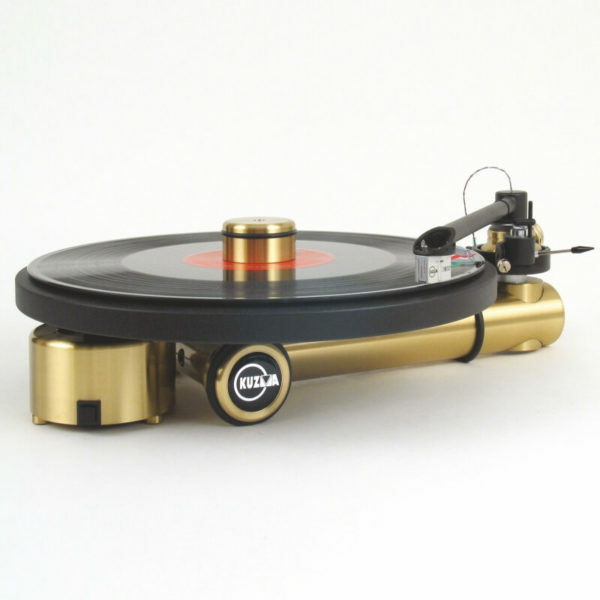 The Stogi Ref 313 VTA tonearm shares the main features of Stogi Ref and 4 Point tonearm, i.e. precision ball bearings, a conical tube and unique VTA tower. 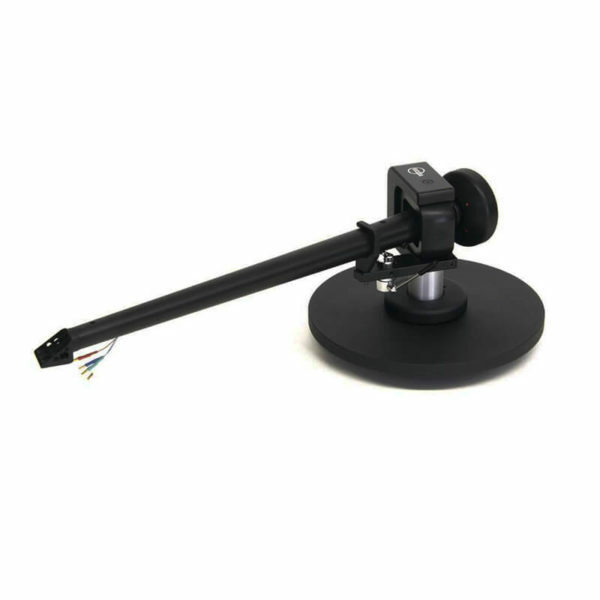 This is a very rigid medium mass tonearm with precision ball bearings which ( ceramic ball bearings since July 2012) , while withstanding very heavy loads, displays extremely low starting and running friction and noise levels. The main frame and all other parts are machined from solid aluminium and brass blocks. Some parts are anodised and some are not, in order to help control tonearm resonance. 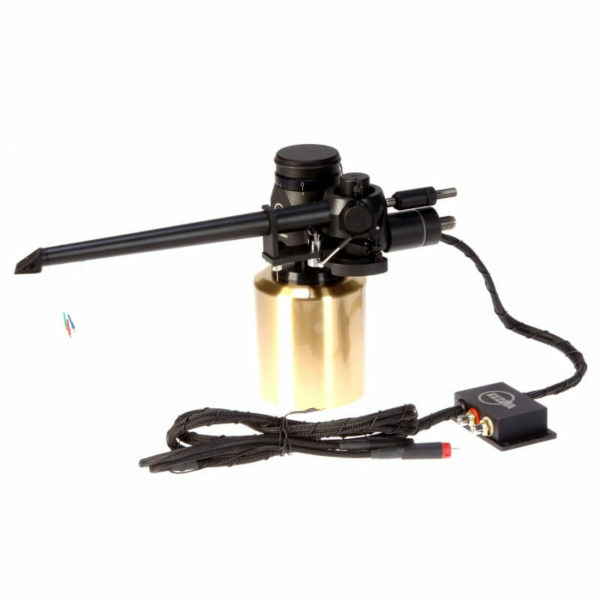 The detachable headshell provides a stable cartridge mounting, while the internally damped tube connects this to the massive bearing parts where any vibration or noise is dispersed. Most parts are glued together for rigidity and damping. Detachable headshell: The electrical connection is via standard pins but the headshell can be simply removed by unscrewing with an Allen key. The headshell is fixed with a unique hexagonal locking system, giving the same rigidity as with a fixed headshell. The conical tube machined from solid aluminium rod is internally damped and divided into two parts which, while further aiding damping, also allows for precise azimuth adjustment. A special mechanism (worm drive), using an Allen key, allows the tube to be rotated back and forth in minimal increments with no air gap. This mechanism is submerged in silicone grease for further damping. A marker line clearly shows the azimuth position and facilitates use, while allowing for repeated adjustments. 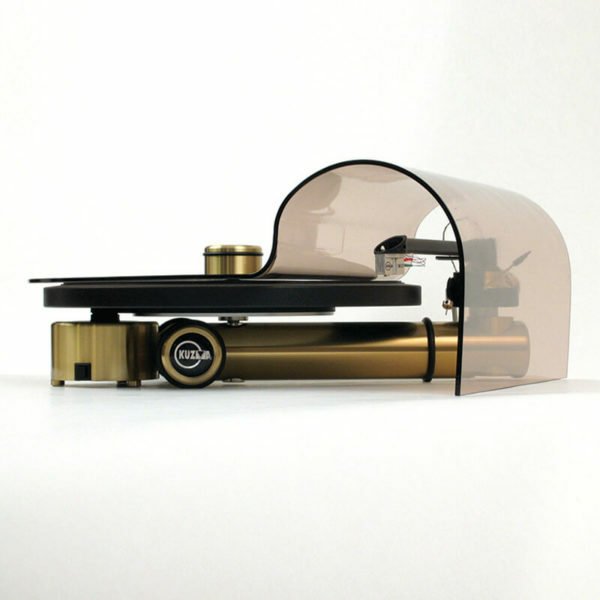 A decoupled brass counterweight controls balance and adjusts tracking force, while damping vibration in the tube. The massive arm base serves to clamp the tonearm rigidly to the armboard. All bearings are pre-loaded and glued into position which, while damping vibrations in them, also provides long lasting, zero play, low friction and low noise level in the bearings. 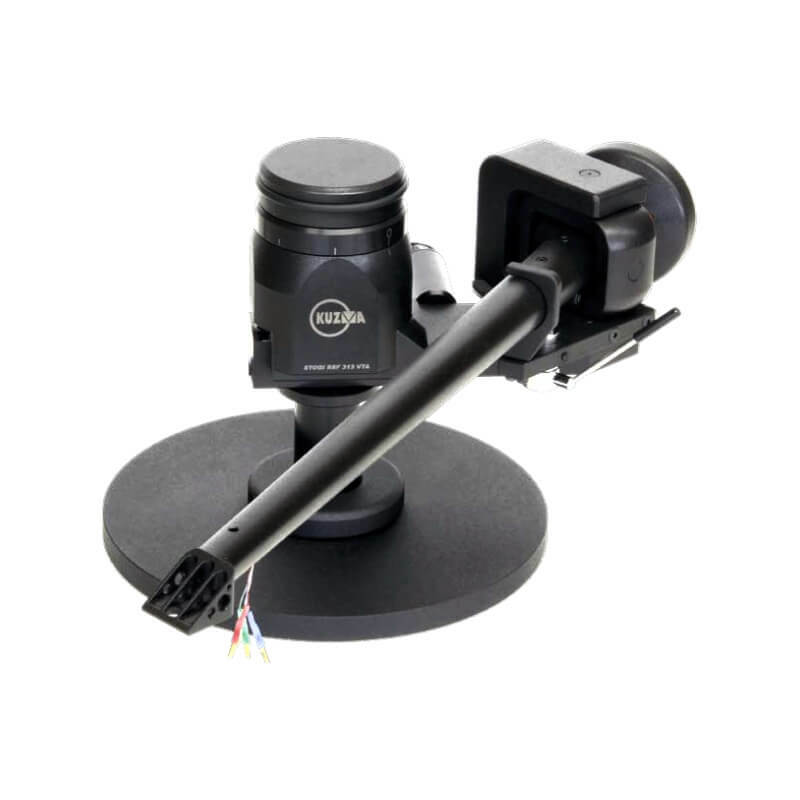 VTA tower: The whole construction is mounted on a rigid VTA tower which allows VTA ( vertical tracking angle) adjustment while playing, without any loss of rigidity, yet with up to 0.01mm of precision with zero play and repeatability.